In its US Freight Transportation Forecast publication, the American Trucking Association (ATA) has estimated that freight transport in the US will grow to 20.73 billion tons by 2028, a growth of 36.6% from that of 2017 numbers (15.18 billion tons). 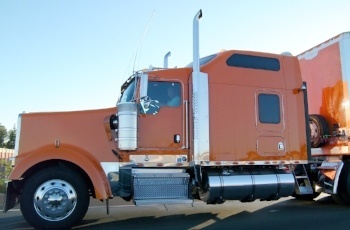 Even with such huge demand for freight transport, the transportation industry, especially fleet operators, is set to face several challenges—fluctuating fuel prices, driver shortages, increase in trucking rates, and possible shortage of trucking capacity. To maintain the optimum operational efficiency, artificial intelligence (AI) can play an important role by reducing costs incurred by OEMs and fleet operators. Predictive maintenance systems enabled by AI give better prediction and avoidance of machine failure by combining data from the Internet of Things (IoT) sensors, maintenance logs, and external sources. With this, the possible increase in asset productivity (20%) and the reduction in overall maintenance costs (10%) can be observed. Also, according to a publication by the National Highway Traffic Safety Administration (NHTSA), advanced driver assistance systems (ADAS) with vehicle-to-vehicle (V2V) communication have the potential to prevent 40% of reported crashes. According to Cisco IBSG estimates, the crash-related savings would average USD 280 per vehicle per year—USD 190 for the vehicle owner and another USD 90 for the external societal cost of crashes. AI in trucking can support the increased need to maintain operational efficiency when trucking costs and driver wages have risen. AI can also help OEMs and fleet operators follow regulations related to vehicle and driver safety. Hence, with the growing adoption of ADAS technologies in trucks, and various initiatives by OEMs related to autonomous trucks, the AI market in transportation (AITS) is estimated to grow from USD 1.21 billion in 2017 to USD 10.30 billion by 2030, at a CAGR of 17.87% during the forecast period. However, high AI systems installation cost and infrastructure cost are the key restraints of this market. Any commercial truck with a few ADAS features (such as adaptive cruise control (ACC), blind spot detection (BSD), and lane assist, among others), telematics unit, HMI, computer algorithm, and sensors can increase the vehicle cost up to USD 20,000. In addition, AI-installed vehicles need supportive infrastructure to function. For instance, the lane assist technology requires lane lines on the road for the system to sense the lines and adjust the vehicle position. With the increase in the level of ADAS in trucks, trucks are moving one more step toward being fully autonomous. Level 2 automation was implemented after 2014 and features such as ACC, LDWS, park assist (PA), and lane keep assist (LKA) are added to the vehicle. In this level, the driver is responsible for keeping an eye on traffic and responding to it. However, the driver gets the benefit of automated steering, braking, and acceleration. In this level, the driver can keep off hands the steering wheel. From 2019 to 2020, level 3 automation will be in place which would lead to the addition of features such as ACC, LDWS, PA, LKA, automatic emergency braking (AEB), and driver monitoring (DM) in the vehicle. Drivers are still controlling the vehicle in level 3 automation; however, under certain traffic conditions, they can shift complete safety functions to the vehicle. With the increase in automation, the amount of information generated from various systems and sensors increases, and collection and interpretation of this data would require strong computing. This is where AI helps as AI models can capture uncertainty between real-life and effect scenarios. The only challenge is that the machine learning is data-driven, where vehicles need to be trained to understand various driving and driver conditions and responses to the same. Presently, AI can have following applications in the trucking/transportation industry, where truck platooning and autonomous trucks are the future of AI in transportation. AI constitutes various machine learning technologies such as deep learning, computer vision, natural language processing (NLP), and context awareness. Some of the recent applications of these technologies in the transportation industry are semi-autonomous and autonomous vehicles, truck platooning, and human-machine interface (HMI) applications. Deep learning, one of the leading AI learning technologies in terms of value, is an advanced form of AI and a dynamic way of computer-generated decision-making. It uses artificial neural networks to study multiple levels of data such as images, text, and sound. The deep-learning technology thrives on data. The more data is fed into the deep learning system, the better it would be able to identify and generalize about the patterns it needs to understand to drive safely. Another promising learning technology, computer vision, is projected to have its applications in lane departure warning, traffic sign detection, and driver drowsiness detection. The fundamental objective of the computer vision technology is to interpret the picture obtained through a high-resolution camera, and it would play a key role in applications, such as HMI, in semi-autonomous and autonomous vehicles. 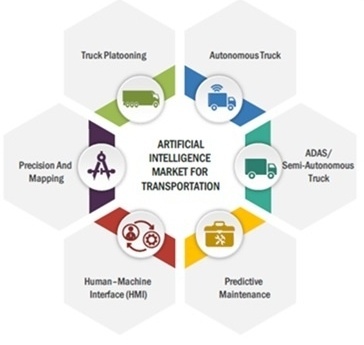 OEMs along with Tier-I suppliers and software suppliers have joined hands in the field of AI in the transportation market to gain a competitive advantage. Leading players are collaborating with regional players to cater to the growing demand. For instance, Bosch and the University of Amsterdam have decided to collaborate in the field of AI. Over the next 4 years, Bosch would make a total of USD 3.34 million investment in this partnership. On the other hand, NVIDIA formed a partnership with ZF and HELLA to collaborate for the development of AI for the use in the production of self-driving vehicles. Continental, Bosch, and ZF are the key Tier-I players in this industry, whereas Nvidia, Microsoft, and Intel are the key platform suppliers. AI can not only observe data/patterns, but it can also predict situations based on previous patterns. Inside the vehicle, embedded AI can assist in terms of real-time navigation, switch-based level upgrades, and anti-threat management, whereas outside the vehicle, the back-end AI helps by data monitoring and predictive maintenance. Based on the same, self-optimizing V2V control systems, joint lane management, and others would help to bridge the gaps. AI is also estimated to drive new mobility concepts that would lead to the emergence of new businesses such as capacity-as-a-service, shared insurance optimization, and predictive on-demand maintenance. Read these studies for insights into market size and future growth, competitive analysis, technology trends, and key market strategies. About the Author: Amey Amanaji is the Assistant Manager of Automotive & Transportation at MarketsandMarkets. He has been associated with MarketsandMarkets for more than 5 years, sharing his skills in the automotive & transportation domain. He has worked in projects related to emerging technologies for industry analysis, go-to-market strategy, growth strategy, competitive landscape, and industry valuation. For additional insights into the disruptive trends within the transportation industry, download the white paper "Will Self-Driving Vehicles Be a Reality by 2025?" 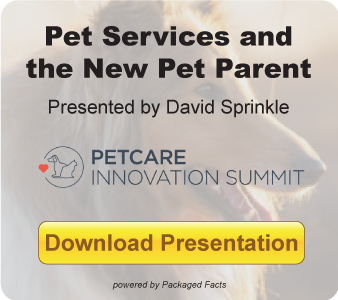 Click the button below to learn more about this free resource.